We should be able to answer a few of those size and marketing questions once the SUV is shown in concept form at the 2018 New York International Auto Show. Debuting as Volkswagen's latest and greatest three-row, 7-passenger crossover, the 2018 Atlas will welcome a lighter sibling in NY. 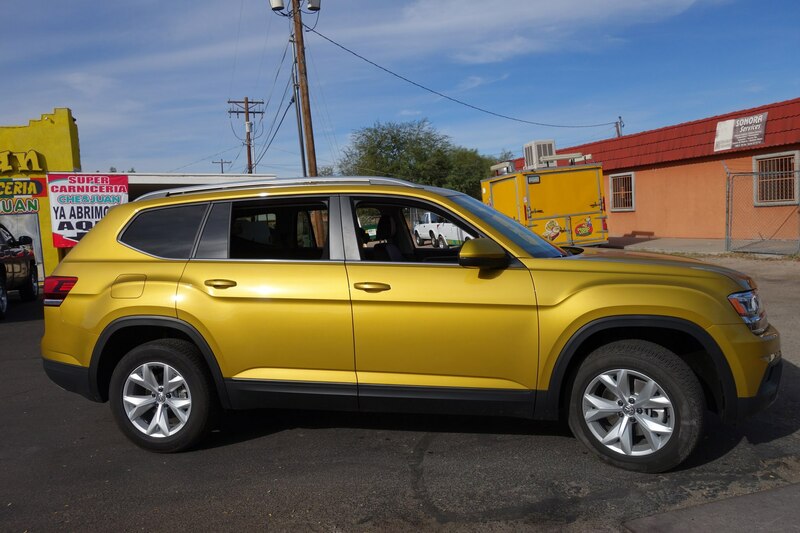 A five-passenger version of the Volkswagen Atlas will join its seven-passenger sibling on the Chattanooga, Tennessee production line, the company announced Monday. We'll have the official details live from NY next week. The plans come amid debate over US -foreign trade relationships as President Trump threatens tariffs on imported European vehicles and continues NAFTA negotiations. VW spokeswoman Jeannine Ginivan said in an email that the move "is not a reaction to the proposed tariffs". The first model built in Tennessee remains in a serious slump, even leading Volkswagen to idle its plant for two weeks this spring. In addition to the new Atlas, VW also unveiled an all-new 2018 Tiguan SUV past year. It's not uncommon for automakers to make slightly smaller versions of existing SUVs in hopes of capitalizing on Americans' thirst for larger vehicles. The new vehicle will be variant of the seven-passenger Atlas, which is also made at the local VW plant. In 2017, VW Group of America Chief Executive Officer Hinrich Woebcken told reporters at the NY auto show that the automaker planned to build a five-seat SUV in Tennessee, but he declined to say when production would begin. Nasty trade talk hasn't turned the largest German automaker off its US growth plans: Volkswagen AG is investing in its Tennessee factory and expanding its lineup of the sport utility vehicles that Americans love.